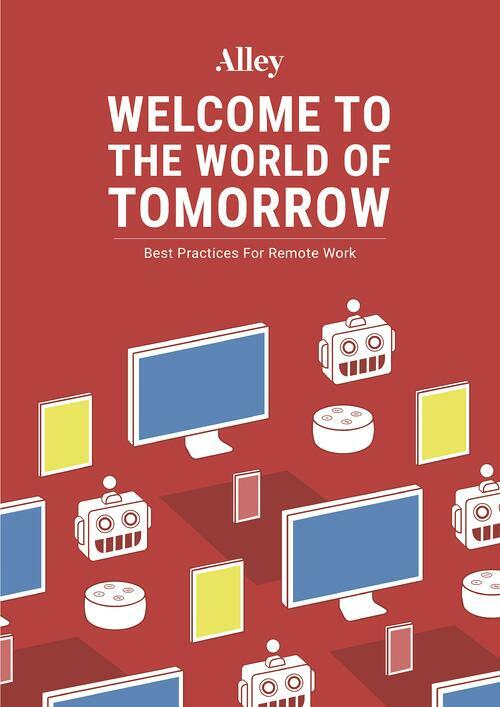 The proliferation of shared, cloud-based tools and processes has made it increasingly easier for companies to embrace a remote work culture. We know a little bit about this: Alley is a fully remote team. Our 60-plus team members are distributed across the U.S. and North and South America, which means we have to think deliberately about how we work, how we communicate, and how we organize ourselves. We always look to optimize the way we work, and in order to succeed, we have to apply a strong sense of intentionality to everything we do. This keeps us on the right track while working remotely—but the resulting principles are also great considerations for those in colocated companies. In the following book, we share some of our guiding principles and processes, in the hope that others can use them to make a difference in their organizations. We have compelling reasons and a lot of experience behind what we do, and hopefully you’ll find these ideas useful in your own organization. Sign up below, and we'll send it over to you straight away! The new world awaits.